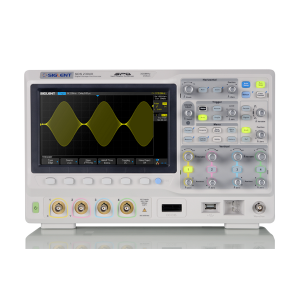 Siglent’s SDS2000X family of oscilloscopes is currently carrying a 30% discount on all 100 MHz, 200 MHz, and 300 MHz models. This discount is applied on Checkout in the Siglent store or available on purchases made through all Siglent America authorized distributors and partners. In addition, for a limited time, purchase the MSO option (software/firmware key and logic pod) for $488 and receive the Serial Decode and AWG (function generator) options Free. A savings of $376. All Offers are valid until March 31,2019.